Home » How To Recipes » What Is Ganache? 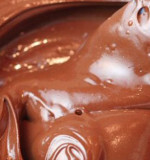 A ganache is often made when making individual chocolates, as well as for cakes and other desserts. 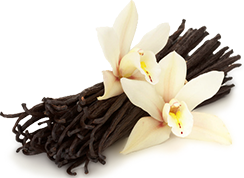 It is a simple mixture of cream and chocolate, plus quite often a flavouring. The fun you can have with the flavourings is huge. When warming your cream, pop in a chilli or a few coffee beans, a vanilla pod, a few curry leaves – whatever your heart (and tummy) desires! A soft ganache is equal cream and chocolate proportions. Heat up the cream until it starts to gently boil on the edges, and then add your chopped chocolate into the cream and stir. It is best to let the ganache cool at room temperature, and if you can, leave it overnight to allow the cocoa butter to crystallise, which will make the moulding of the ganache easier. For a firmer ganache, you add more chocolate than cream.. Over time, a firmer ganache can separate, as there are more dry cocoa particles than water. Ganache has a week-long shelf life at room temperature.